With a *Le Club* membership, guests can enjoy a variety of resort locations including Le Reve oceanfront boutique hotel. 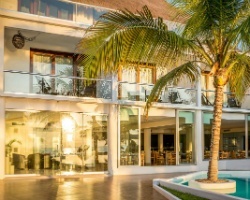 Located in the heart of the Riviera Maya, Le Reve offers easy access to sunny beaches, Mayan sites, nature parks and the lively restaurants and nightlife of Playa del Carmen. 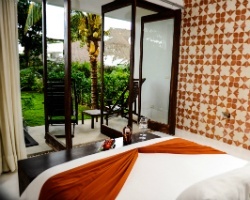 The high-end resort showcases the Riviera Maya’s natural beauty. Vacationers enjoy a seaside spa, gourmet dining with Caribbean views, and luxurious guest rooms and villas just steps away from the white sands of Xcalacoco Beach. Owners can also use their weeks at affiliated hotels or trade with private exchange providers for additional vacation locations. 2 weeks per year! No maintenance fees! RTU until 2025! Buyer May Receive A Title Fee Credit, Inquire For Details!